Veggie Meadow Ⓥ: Mars Mistake! Snickers bars will soon be a no-go area for vegetarians - the manufacturers are to add rennet to the recipe. Snickers, along with the rest of its chocolaty brethren in the Mars family - Milky Way, Bounty, Mars bar, Galaxy, Twix and Maltesers among them - has stopped being suitable for vegetarian consumption. The problem is that the source of whey now used in a Snickers bar contains rennet. Nestlé's KitKat, the UK's bestselling chocolate bar, is also unsuitable for vegetarians. 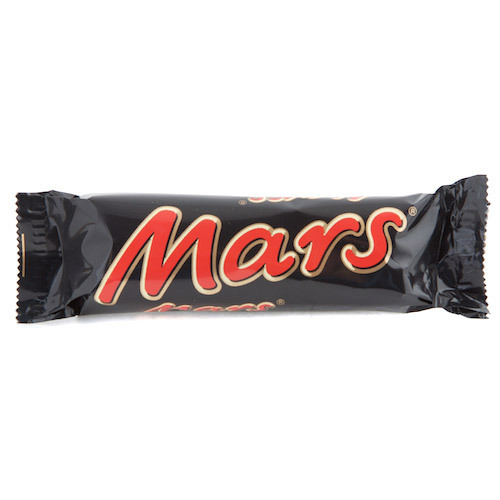 Mars has abandoned plans to use animal products in its chocolate, and has apologised to "upset" vegetarians. The firm had said it would change the whey used in some of its products from a vegetarian source to one with traces of the animal enzyme, rennet. The Vegetarian Society organised a campaign against the move, asking members to voice their concerns to parent company Masterfoods. In just one week, more than 6,000 people bombarded the company, which produces the Mars, Snickers, Maltesers and Galaxy brands, with phone and e-mail complaints.